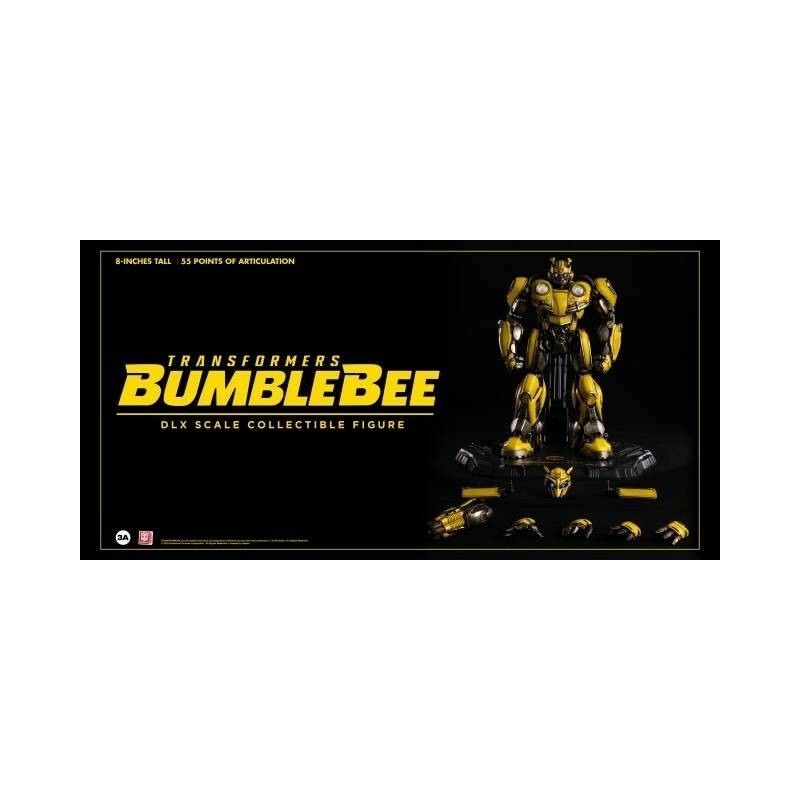 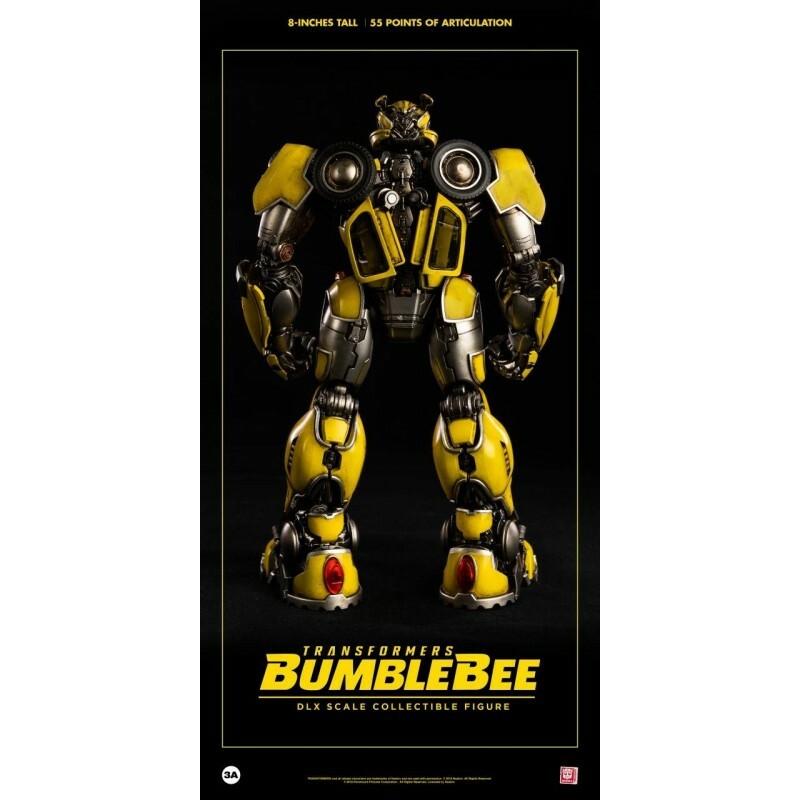 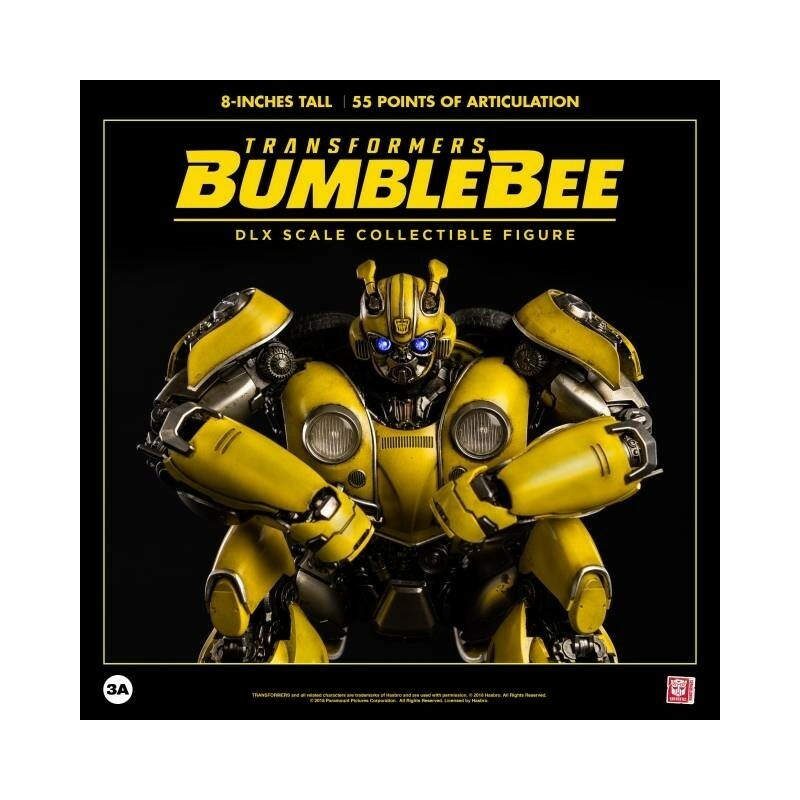 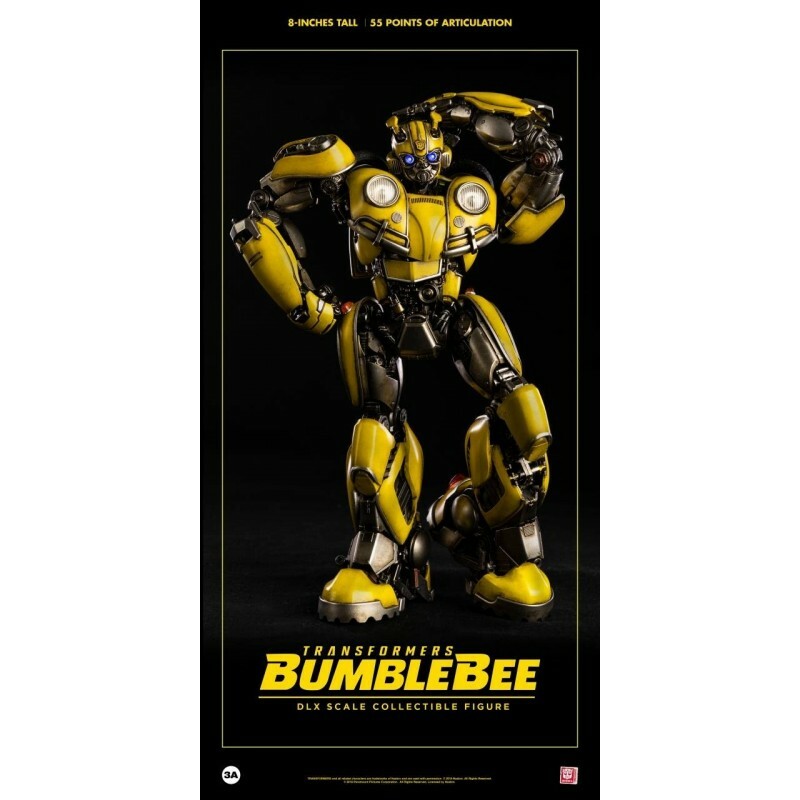 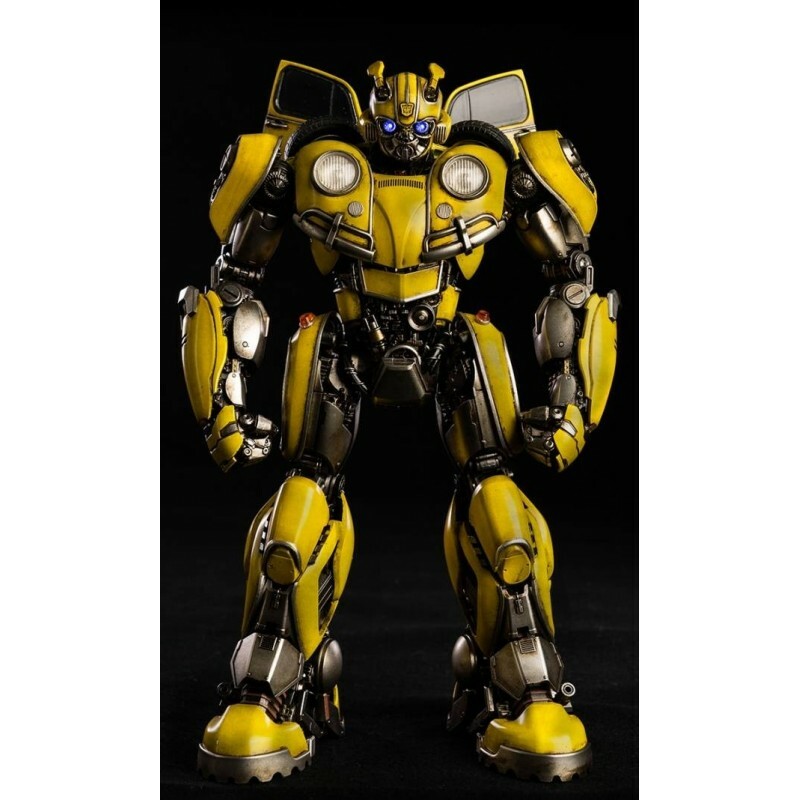 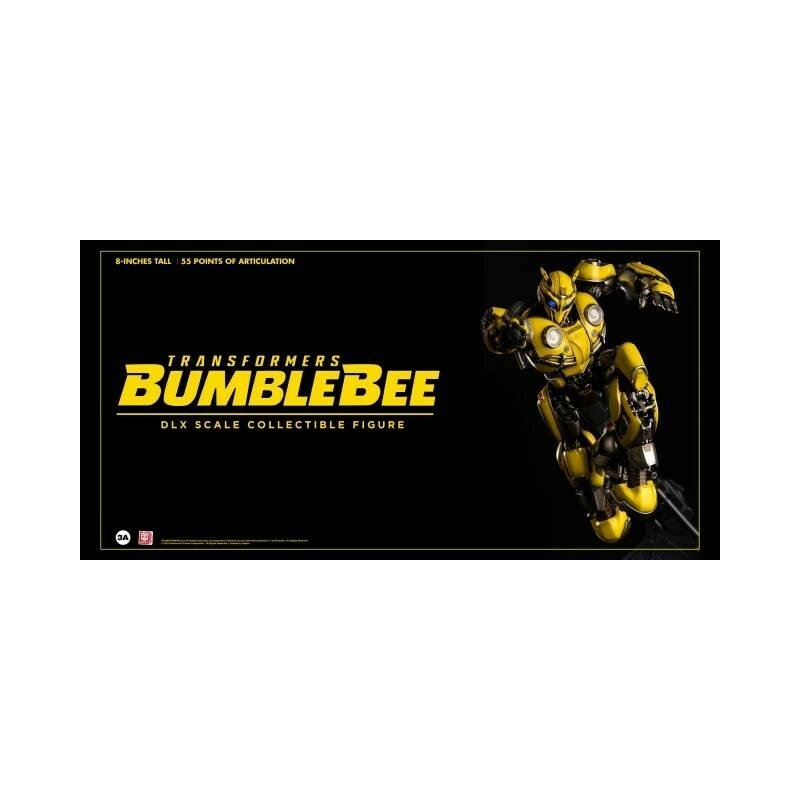 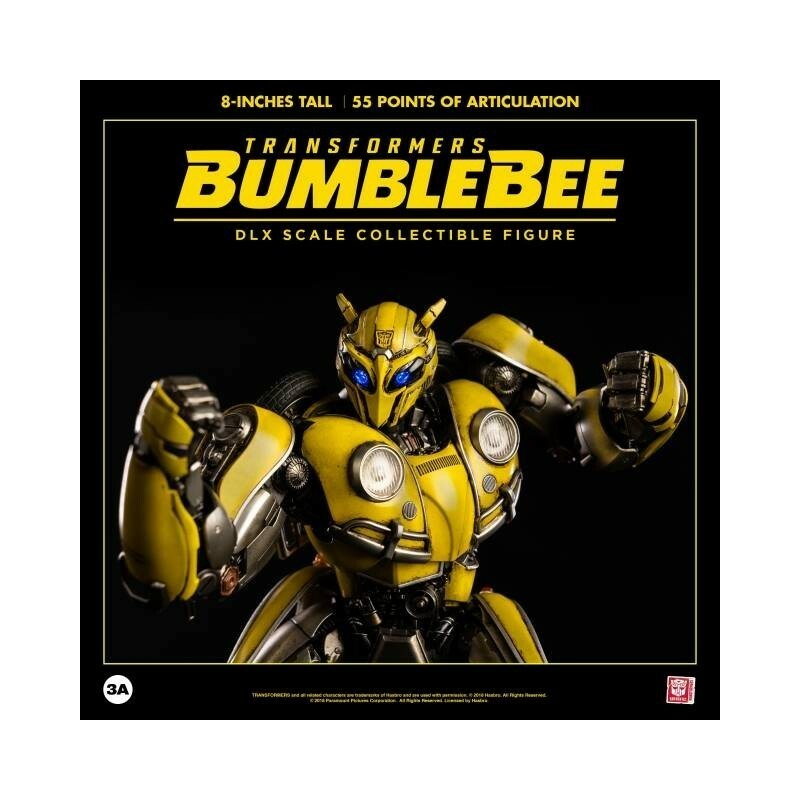 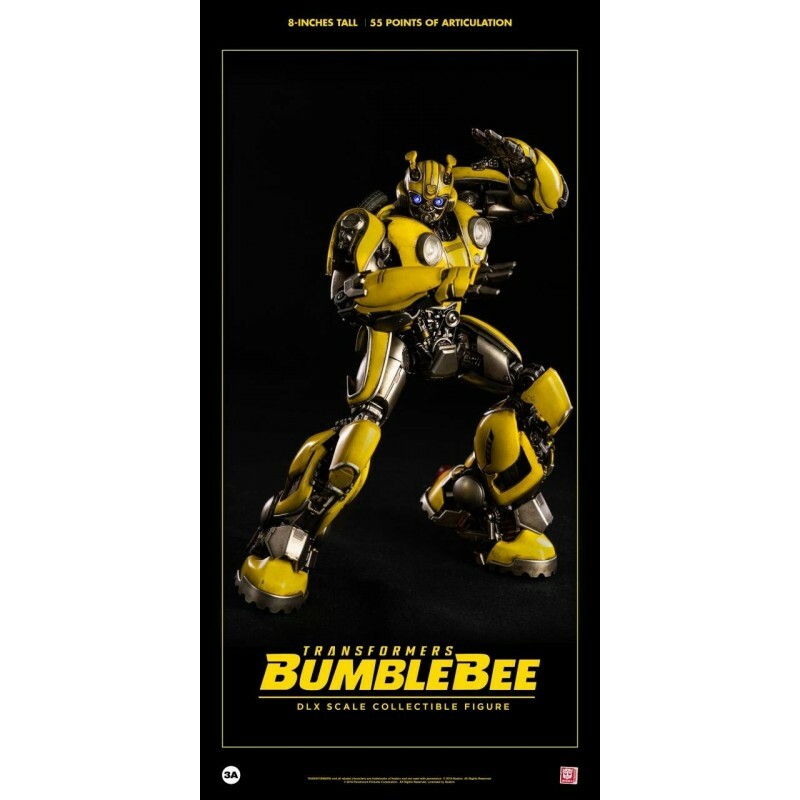 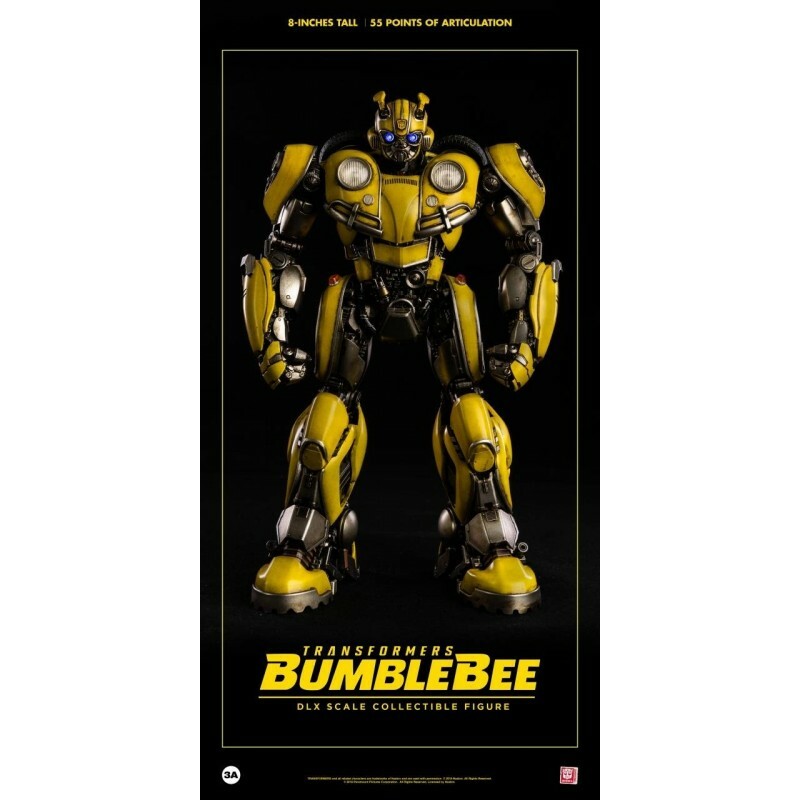 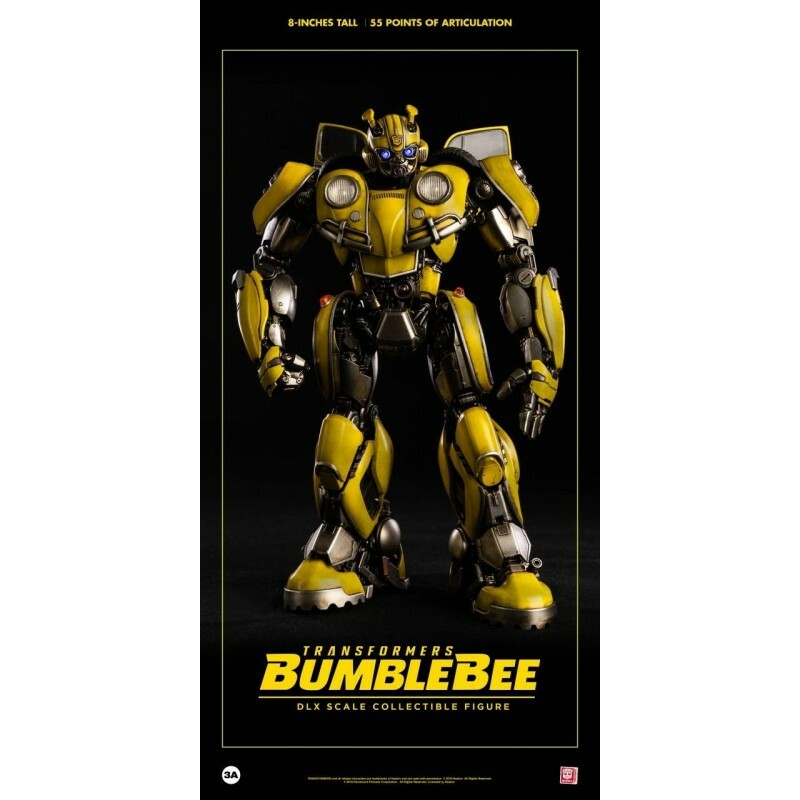 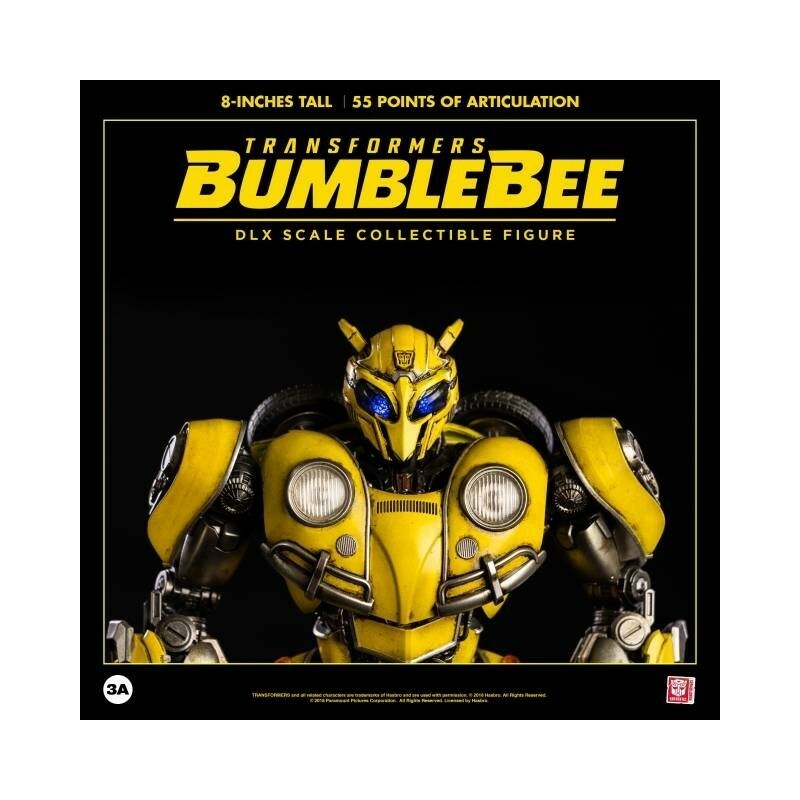 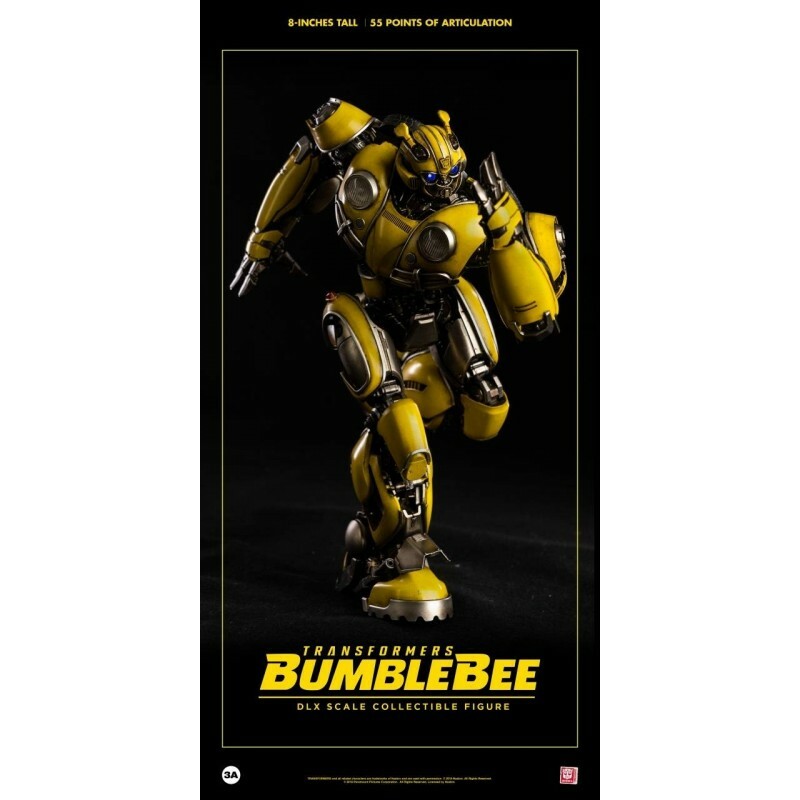 Hasbro fully licensed ThreeA Bumblebee from new Transformers Bumblebee film. Figure stands about 8.26"/21 cm tall. 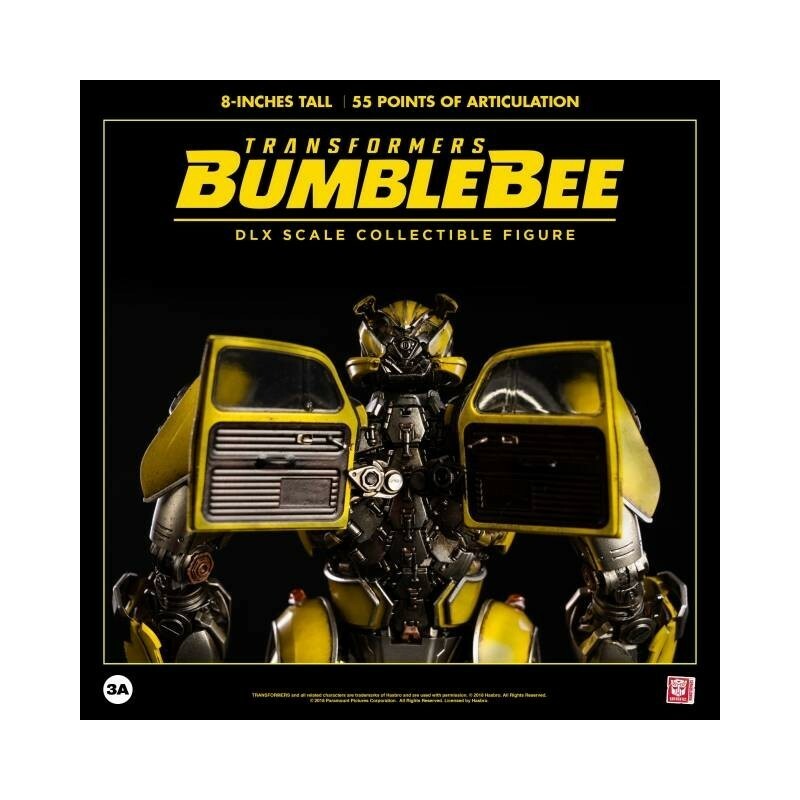 Figure includes over 55 pieces of articulation, LED illuminated eyes, interchangeable Stinger Blaster and die-cast metal parts!